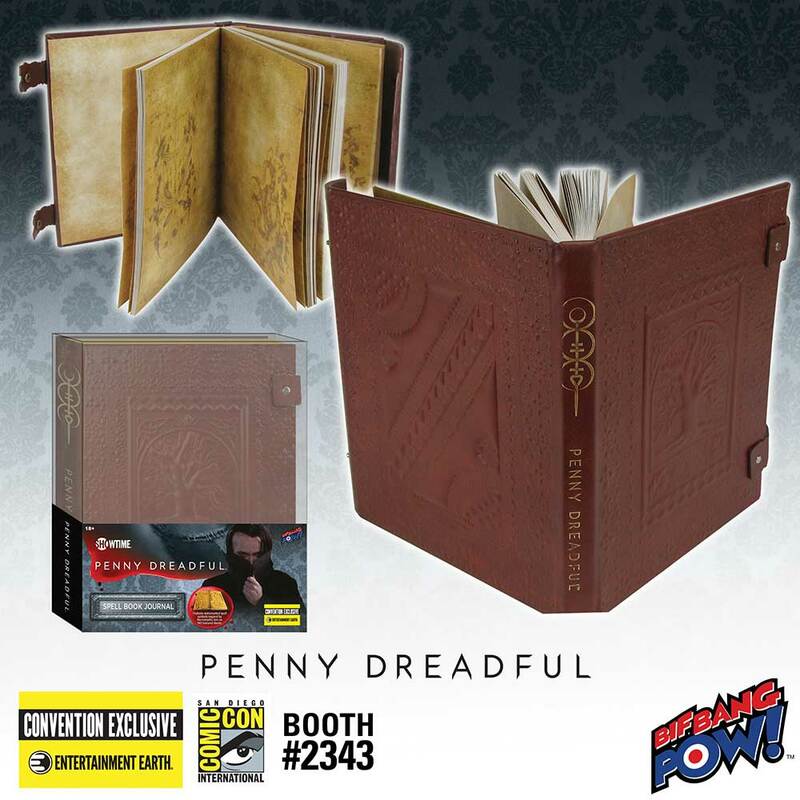 Tap into the spirits beyond this world with the Entertainment Earth Penny Dreadful Spell Book Journal - Convention Exclusive from Bif Bang Pow!. Inspired by the book used by Vanessa Ives from the hit TV series Penny Dreadful, this deluxe journal measures 9.5-inches tall x 7-inches wide and features an embossed front and back cover that securely closes using two snap-close latches - keeping your secrets safe inside! Unique spell artwork as seen in the original prop used in the show is watermarked throughout the 128 parchment-colored sheets (256 pages). The artwork features symbols inspired by Neocromantic lore, a mix of Pagan symbols, and custom designs produced by the show's own graphic artist Anais Chareyre. 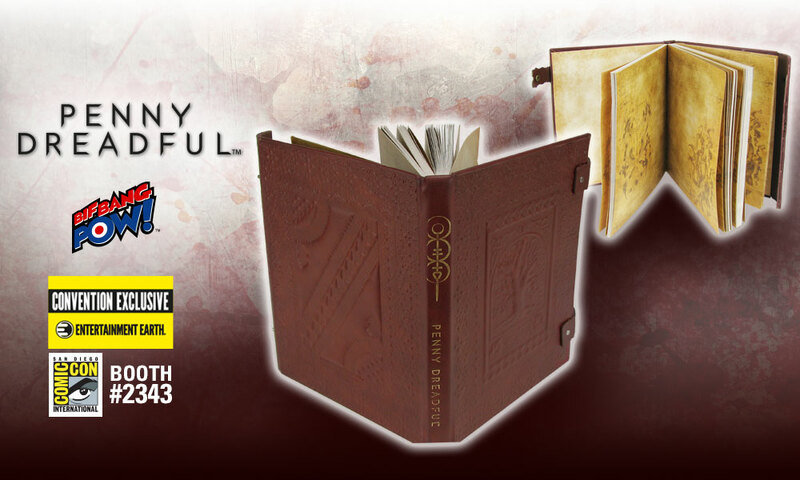 A must-have collectible for Penny Dreadful fans, the rare Penny Dreadful Spell Book Journal - Convention Exclusive is limited to only 804 pieces - each individually numbered with a holographic sticker. Ages 18 and up. The first opportunity fans will have to grab this limited edition exclusive will be at San Diego Comic-Con on July 20, 2016 in the Entertainment Earth booth (#2343)! 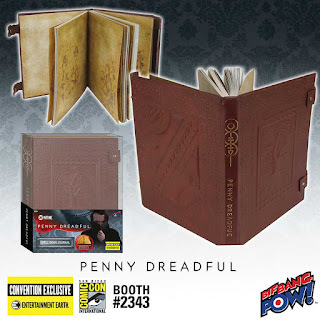 Shop all Penny Dreadful collectibles from Bif Bang Pow! - only at Entertainment Earth.